Timothy Michael Tymkovich (born November 2, 1956) is the Chief United States Circuit Judge of the United States Court of Appeals for the Tenth Circuit. Born in Denver, Colorado, Tymkovich is a third-generation Coloradan; his great-grandfather emigrated from Ukraine to the United States via Ellis Island and worked as a miner. Tymkovich received a Bachelor of Arts degree at Colorado College in 1979 and his Juris Doctor at the University of Colorado Law School 1982. He then clerked for Justice William Erickson, Chief Justice of the Colorado Supreme Court, from 1982 to 1983. From 1983 to 1991, Tymkovich worked in private practice in Denver and Washington, D.C. In 1991, Colorado Attorney General Gale Norton appointed him Solicitor General of the State of Colorado. Tymkovich served in that position until 1996, arguing several cases in front of the Supreme Court of the United States. Most notably, in Romer v. Evans (1996), he unsuccessfully argued that Colorado's Amendment 2 (which revoked local legal protections for members of the LGBT community) was not unconstitutional under the Fourteenth Amendment's Equal Protection Clause. He then returned to private practice in Denver. President George W. Bush initially nominated Tymkovich to the seat on the Tenth Circuit on May 25, 2001, and renominated him on January 7, 2003. President Bill Clinton previously had nominated Christine Arguello for the seat, but she never received a hearing or a vote from the United States Senate. Tymkovich was confirmed by the United States Senate in a 58-41 vote on April 1, 2003, and received his commission the same day. He replaced Judge John Carbone Porfilio, who took senior status. He became Chief Judge on October 1, 2015. In September 2016, Tymkovich and his circuit colleague Neil Gorsuch were named as possible U.S. Supreme Court nominees by Republican presidential candidate Donald Trump. In 2018 Tymkovich was tasked with reviewing more than a dozen ethics complaints filed against U.S. Supreme Court Justice Brett Kavanaugh. Beginning in 2001, Kavanaugh was involved in a campaign to get Tymkovich appointed as a federal judge. United States v. McCane, 573 F.3d 1037 (10th Cir. 2009): Markice McCane was convicted of being a felon in possession of a firearm in violation of 18 U.S.C. § 922(g)(1). On appeal, he contended that the felon-in-possession statute was unconstitutional in light of District of Columbia v. Heller (2008). But the Tenth Circuit affirmed the conviction after noting the statement in Heller that "nothing in our opinion should be taken to cast doubt on longstanding prohibitions on the possession of firearms by felons." In a concurring opinion, Judge Tymkovich expressed concern that the statement "short-circuits at least some of the analysis and refinement that would otherwise take place in the lower courts," particularly since the statement was based on a possibly questionable premise—that the felon-in-possession prohibition was longstanding. Guttman v. Khalsa, 669 F.3d 1101 (10th Cir. 2012): Dr. Stuart Guttman brought suit under Title II of the Americans with Disabilities Act of 1990 after the New Mexico Board of Medical Examiners revoked his medical license. In an opinion written by Judge Tymkovich, the Tenth Circuit held that the Eleventh Amendment protected States from lawsuits based on professional licensing decisions. United States v. Strandlof, 667 F.3d 1146 (10th Cir. 2012): Rick Glen Strandlof was convicted of violating the Stolen Valor Act of 2005, 18 U.S.C. § 704(b), which makes it illegal to falsely claim to have received a military award or honor. In an opinion written by Judge Tymkovich, the Tenth Circuit held that the First Amendment does not protect knowingly false statements of fact. In United States v. Alvarez (2012), a plurality of the Supreme Court held that the Act was unconstitutional, although a majority of justices held that lies about easily verifiable facts (e.g., receiving military honors) are outside the core of First Amendment protection. Hobby Lobby Stores v. Sebelius, 723 F.3d 1114 (10th Cir. 2013): The court found for-profit corporations Hobby Lobby and Mardel Christian Bookstores could assert religious freedom as "persons" under the Religious Freedom Restoration Act. Judge Tymkovich wrote for the five-judge en banc majority, over a three-judge dissent. The decision was upheld by a five-justice majority of the U.S. Supreme Court in Burwell v. Hobby Lobby Stores, Inc. (2014). ^ "U.S. Senate: U.S. Senate Roll Call Votes 108th Congress - 1st Session". 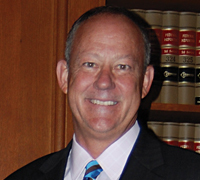 ^ "Circuit Judge Timothy Tymkovich Becomes Chief Judge". United States Court of Appeals for the Tenth Circuit. October 1, 2015. Retrieved October 29, 2015. ^ Carpentier, Megan (24 September 2016). "Trump's supreme court picks: from Tea Party senator to anti-abortion crusader". The Guardian. Retrieved 12 October 2016. ^ a b Stephanie Kirchgaessner (22 October 2018). "Kavanaugh once lobbied for judge now handling ethics complaints against him. Revelation raises concerns about politicization of the supreme court and whether Trump nominee will face disciplinary action". TheGuardian.com. Retrieved 24 October 2018. ^ 128 S.Ct. at 2816-17. ^ Volokh, Eugene (28 June 2012). "Freedom of Speech and Knowing Falsehoods". ^ Recent Cases: Tenth Circuit Holds For-Profit Corporate Plaintiffs Likely to Succeed on the Merits of Substantial Burden on Religious Claim, 127 Harv. L. Rev. 1025 (2014). Timothy Tymkovich at the Biographical Directory of Federal Judges, a public domain publication of the Federal Judicial Center. This page was last edited on 11 March 2019, at 17:45 (UTC).